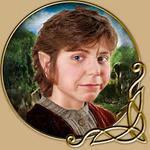 A young elf arrives in Battledale, extremely fretful and worried. He is looking for assistance from adventurers in the area to help him find his missing friend. Please let me know if you'd like to attend (and with which character) by posting here or sending me a message on Discord. Both fresh new characters & new players are welcome! Going to have to take a raincheck on this one - sorry for the late notice. I'll reschedule this for next Saturday, same Bat-time, same Bat-channel! I'm in, probably with Almyth (wiz 3). We'll be going ahead with this in a few hours! Still space for 2-3 folks Post or drop me a message on the DM channel or in Discord if you're interested.